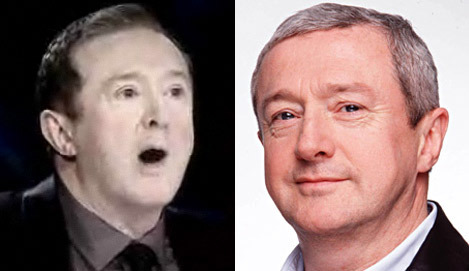 Seeing as Louis Walsh seems to be a popular chap currently, I thought I’d update my occasional postings on his ‘makeover’. Just over a year ago, I posted about Louis’ obvious makeover, but he’s gone much further this year. Taking a few tips from Simon Cowell, he’s clearly had his eyes done and he’s also removed much of the grey from his hair colour. There’s also possibly a bit of Botox in there, too. I think he looks a lot better, but it’s quite a drastic change. Anyone else like his new look, or should he have simply aged gracefully instead?